Flexible doesn't have to mean flimsy. Think of a tree bending in a wind gust or a bird flying into a headwind. Soon Air Force planes will be outfitted with wing flaps that morph to make them more fuel efficient and quieter. In April, Wright-Patterson Air Force Base finished the last of 22 test flights on a Gulfstream III at Edwards Air Force Base, California. According to Pete Flick, Air Force Research Lab (AFRL) Program Manager, "We are thrilled to have accomplished all of our flight test goals without encountering any significant technical issues. These flights cap 17 years of technology maturation." He says, "The technology is now ready to dramatically improve aircraft efficiency for the Air Force and the commercial aviation industry." Nearly two decades ago Dr. Sridhar Kota, a University of Michigan mechanical engineering professor, brought the idea to Wright Pat. "Just observing in nature, if you think about it, first of all, everything around you right now, your desk and the computer and the printer, everything that is strong is also very stiff... now if you look outside the window and look at trees bending in heavy winds, they are very strong, but they are flexible." Kota, founder and president of Flexsys, uses conventional aerospace materials for his morphing wing flaps like aluminum, steel and titanium composites. The Air Force is ready to apply the technology to its jets later this year. There are other applications for it including helicopter rotor blades, ships, wind turbines and cars. Edward Roach is a historian at the Dayton Aviation Heritage National Historical Park and author of The Wright Company: From Invention to Industry, which details Orville and Wilbur’s business side of building and selling airplanes. 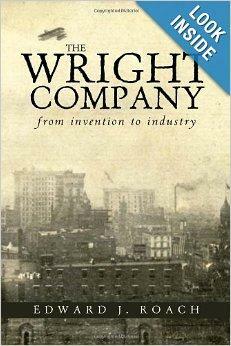 The author talks with our Lloyd Bryant about the post-Kitty Hawk business world of the Wright Brothers.